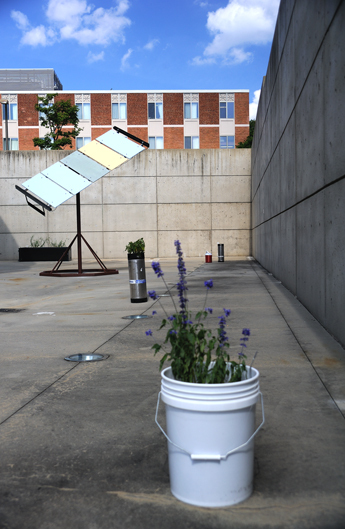 'brightveridiansentinelevents' examined the relationship between sustainability, aesthetics and free time. 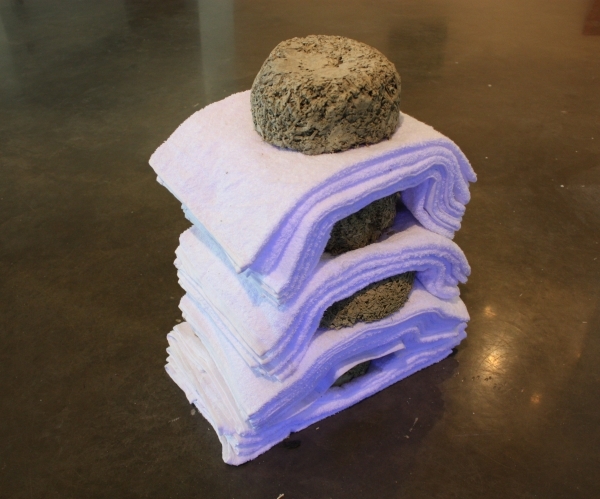 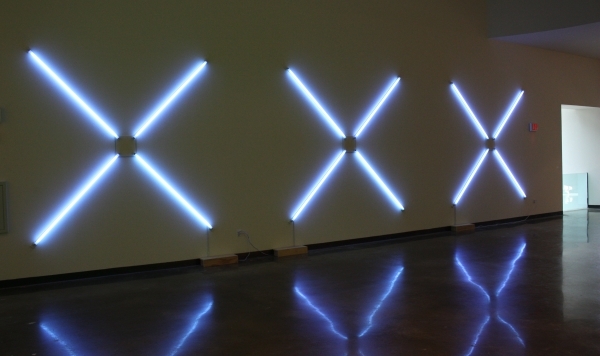 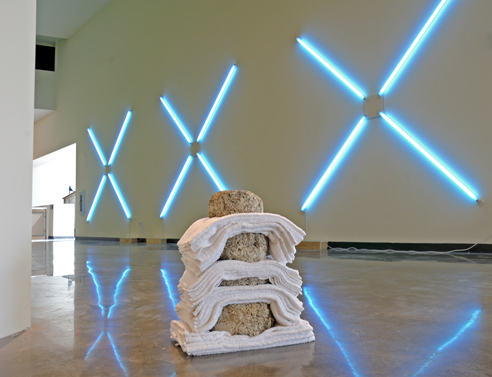 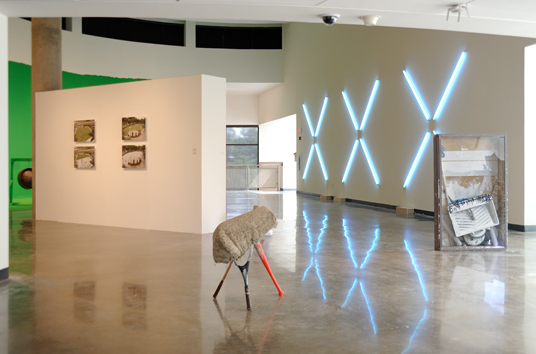 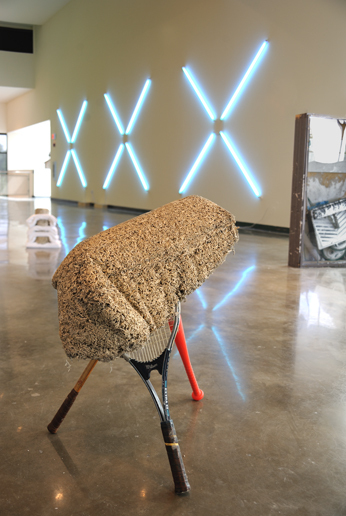 This included sculptural works that distill these relationships to material essences, utilizing the utopic building material Hemcrete and home tanning bed lamps, as well as relics from my White Turf Painting Actions series. 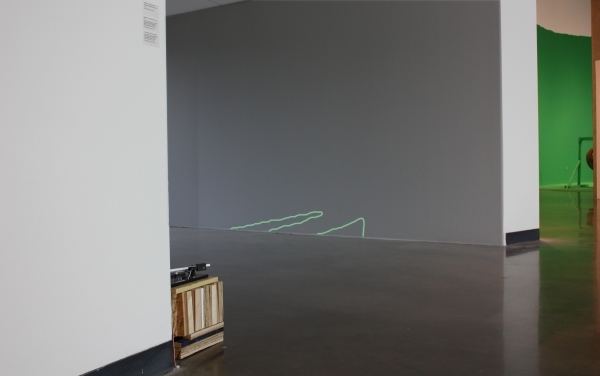 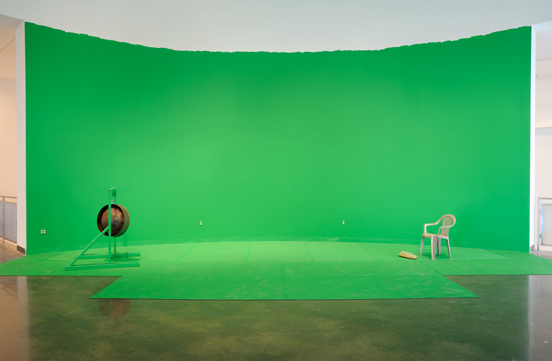 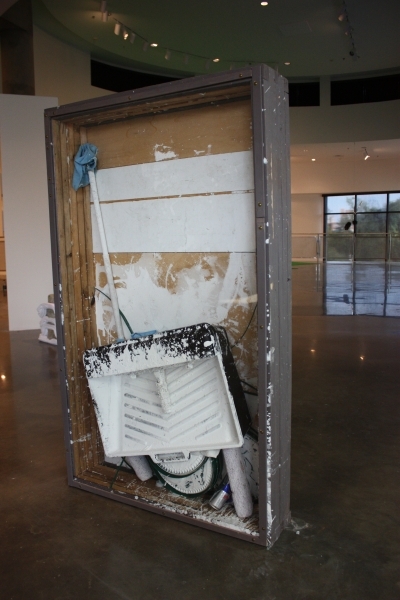 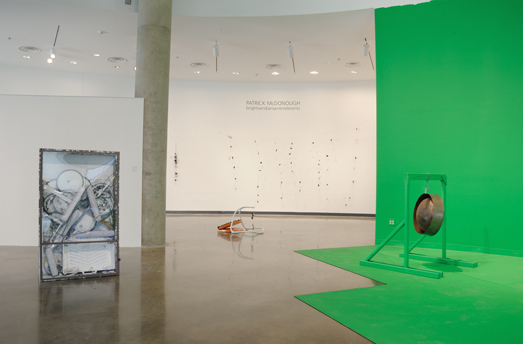 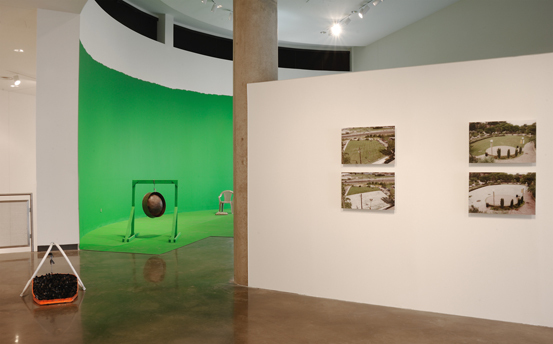 Other works emphasized object and visually driven associations with this content-from the green screen paint used by television meteorologists to shellfish shells collected from a trendy restaurant’s waste stream. 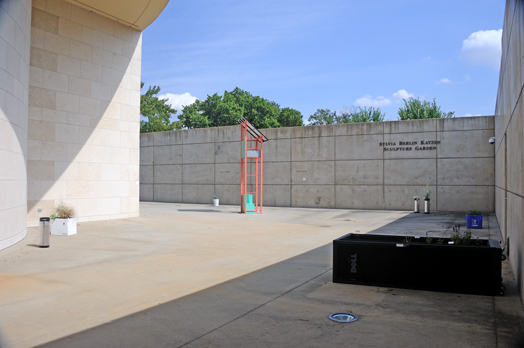 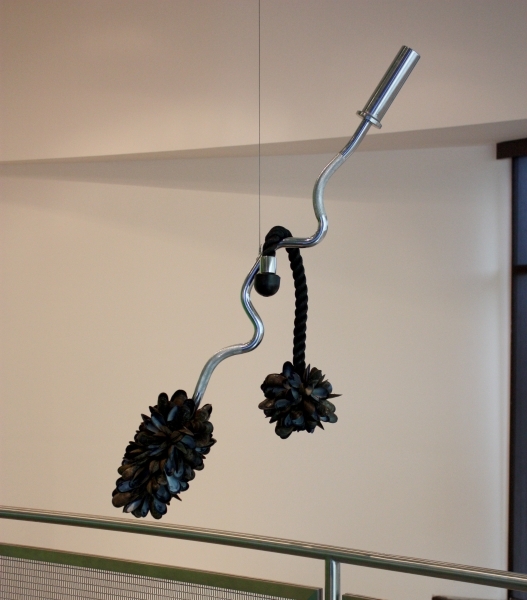 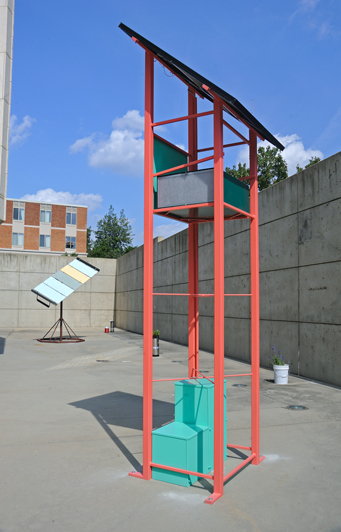 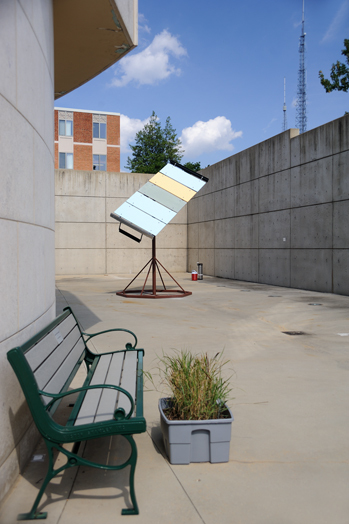 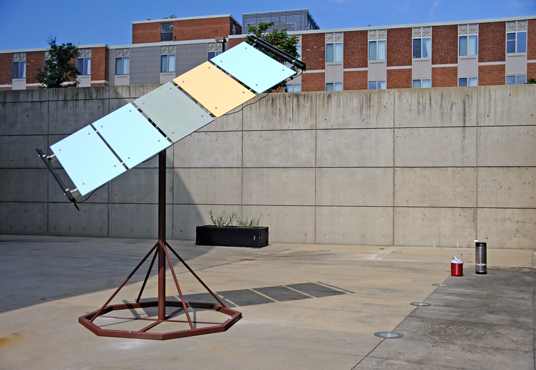 And the included outdoor sculptures utilized technological materials and forms to explore the role of the visual in individuals’ relationships to the sun and renewable energies.